Will SEBI’s phasing out of P-Notes benefit Indian markets? Has the government committed a cardinal sin by killing off participatory notes, which it instituted itself in the first place? Participatory notes, also known as offshore derivative instruments (ODIs), are used by foreign investors to invest in shares listed on the Indian stock market. P-Notes are issued by registered foreign portfolio investors (FPIs) to overseas investors who wish to invest in the Indian stock markets without registering themselves with the Securities and Exchange Board of India (SEBI). P-Notes and equity linked notes have constituted a significant chunk of total investments by FPIs in India, thus posing an imminent threat to market stability by virtue of the volatile nature of such investments. This has resulted in the markets becoming susceptible to short-term fund flows and has given rise to the issue of indeterminate ownership structures. Due to its short-term nature, the regulator has prescribed fewer guidelines for FPIs than for foreign direct investments (FDI). P-Notes enable overseas investors to avoid regulatory approval processes and helps them sidestep the capital gains tax that is normally levied when stocks are sold on the exchange. In practice, P-Notes are taxed just once and are then sold from the accounts of FPIs. However, the notes may change hands in the middle and they thus escape getting taxed. Indian regulators are not very happy about P-Notes because they have no way of knowing who owns the underlying securities. It is alleged that a lot of unaccounted money made its way into the country through the P-Note route. Experts have opined that it is better to abolish an opaque instrument offered abroad, where the long arm of the Indian law cannot reach, except through official diktats to FPIs. The hidden identities of investors dealing in P-Notes has raised concerns with the Reserve Bank of India that further trading of the notes will lead to multi-layering. This would make it impossible to determine the actual beneficiary of the investment. Once a P-Note is acquired by a foreign investor from an FPI, it gets re-bought/resold by various other foreign investors creating layers of beneficial owners. However, SEBI has sought to place stricter rules for P-Notes on an ongoing basis, but has refused to shun it so far. P-Notes gained notoriety in the last quarter of 2007 when SEBI clamped down on the issue of these instruments. The regulator took note of the instrument’s misuse, the comfort it gave issuers, and the copious inflows by foreign investors, and thus, amended the regulations to control the froth of liquidity. Another major regulatory change brought about in 2007 was the order that P-Notes should be issued only to entities regulated by the regulatory authority in the country of their incorporation. This change barred many hedge funds that were unregulated entities from subscribing to P-Notes. While P-Notes in general are undesirable due to their opacity, those drawn on derivatives are even more so. Derivatives allow unregistered external investors to take leveraged exposure to Indian equities. From January 2011, FPIs have had to follow know-your-customer (KYC) norms and have to submit details of transactions. In 2014, new rules on FPIs made it mandatory for those issuing P-Notes to submit a monthly report disclosing their portfolios. This led to a decline in the number of entities issuing P-Notes. More recently, SEBI mandated that in addition to KYC, the anti-money laundering rules (AML) will also be applicable to P-Note holders. Earlier, a P-Note holder had to adhere to KYC or AML norms of their home jurisdiction. SEBI also issued norms on transferability of P-Notes between two foreign investors and increased the frequency of reporting by P-Note issuers. The issuers are also mandated to file suspicious transaction reports, if any, with the Indian Financial Intelligence Unit, in relation to the ODIs issued by them. This move is touted to bring consistency in the standards of scrutiny required prior to the issuance of ODIs. Issuer entities will also be required to identify beneficial owners and non-natural entities, in concurrence with the thresholds posited in the Prevention of Money Laundering (Maintenance of Records) Rules 2005, which establishes that beneficial owners are those that have a controlling ownership interest in the entity in question. ODI issuers will have to mandatorily identify and verify the persons who control the operations of such entities. SEBI has also mandated that FPIs must provide information about the regulated status of the new entity to whom the ODIs have been issued, including the jurisdiction and the regulator with whom the entity is regulated. In addition, SEBI rules are clear if the P-Notes are onward issued to another client, the responsibility for identifying and reporting the end beneficial owner rests entirely with the issuer, which is the FPI. While the rules are already in place, enforcing it is the biggest challenge, given the magnitude of the foreign funds coming in through the P-Note route. It is obvious that P-Notes make certain market experts uneasy. SEBI, however, is not in favour of banning the instrument as it is used globally in many markets. The regulator is of the view that P-Notes are legitimate instruments required for normal financial transactions and are prevalent in all the larger markets. It is not unique to India and there are business reasons to permit these transactions through P-Notes. In a proposal aimed at curbing the misuse of P-Notes, SEBI further tightened the rules of the instrument and similar ODIs by imposing regulatory fees of $1,000 every three years on ODI issuers and each investor. It also prohibited the sale of such products for speculative purposes in order to “discourage the ODI subscribers from taking the ODI route” and pushed them instead to register as FPIs. Not only that, SEBI has barred resident Indians, non-resident Indians, and entities owned by them from making investments through P-Notes and prohibited ODIs being issued against derivatives, except those which are used for hedging purposes. P-Notes also cannot be issued to a resident of a country identified by the inter-governmental Financial Action Task Force as being lax on money laundering and terror financing regulations. This move is to ensure that it becomes tougher to use these offshore instruments without disclosing the money-trail and details of their users. In order to encourage the holders of P-Notes to register directly as an FPI, SEBI has relaxed the entry norms for foreign investors willing to invest directly in Indian markets, rather than through P-Notes. It is true that the recent measures will make investments through ODIs more expensive, both for the issuer due to a projected rise in compliance costs, and, in turn, for the subscribers, it will deter unlawful/illegal use of this route due to increased transparency and accountability in the process of issuance and transfer of ODIs. It is always said that if you take away something valuable from a child, you must replace it with an equal or higher value to console the child. In this situation too, the RBI and SEBI may have to further relax the FPI rules to encourage P-Note holders to directly register themselves as an FPI or substitute P-Notes with another instrument with minimal rules and strictures. 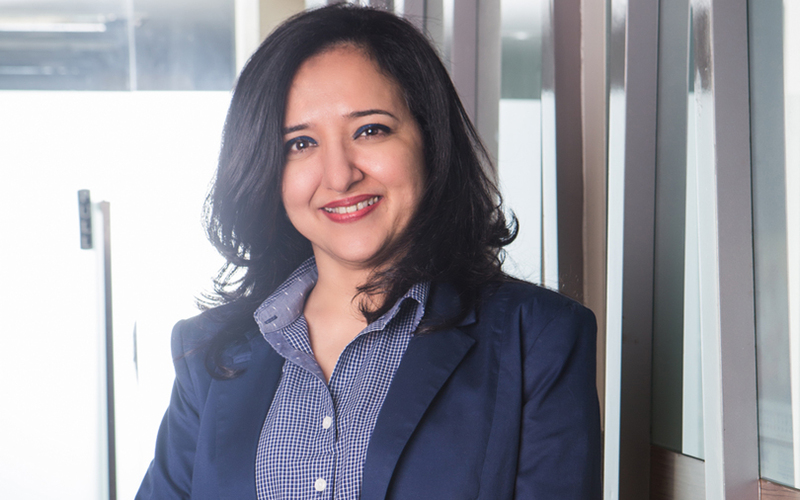 Sangeeta Lakhi is partner at Mumbai-based law firm Rajani Associates. Her expertise lies in banking, finance, and structured finance capital market transactions.